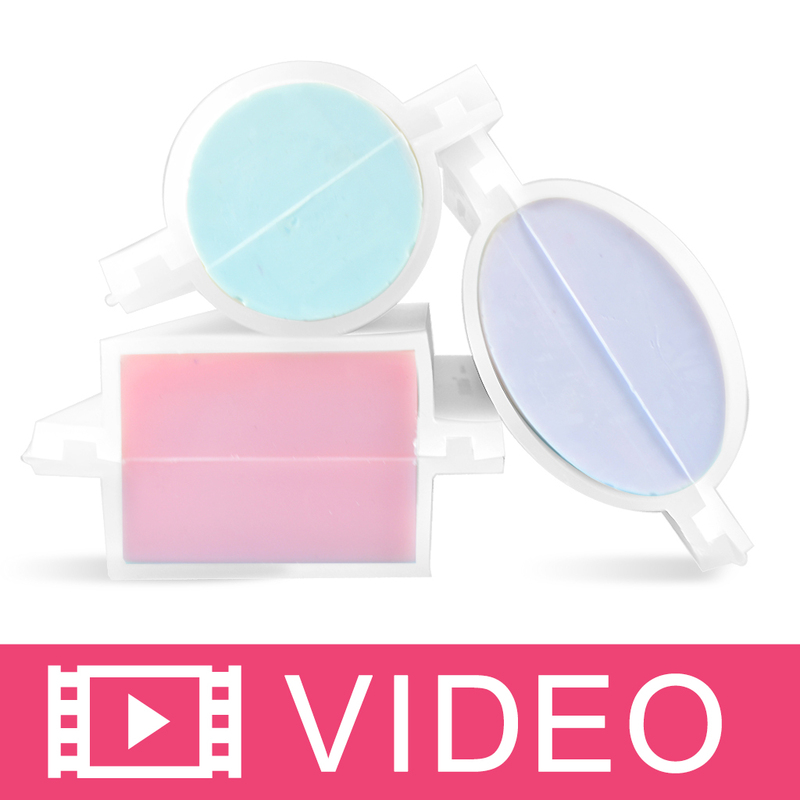 This oval shaped column mold stands vertical, and allows soapers to embed soap in a new way. Place embeds made from Crafter’s Choice Column Shape Molds and Column Mini Molds to create a unique design. We recommend supporting this loaf mold or pouring in layers for best results. Bar Cavities: 1 Bar Depth: 8.125"
Bar Length: 2.375" Bar Width: 3.75"
"Just a little trick, works wonderful." COMMENTS: Some people has problems with this mold because of the weigh of the soap. The solution is using severals clips (the type for paper) on both sides to secure the borders and the oval shape. Mainly on the tops. Doing that it works perfect. • Make very good oval size of soap. COMMENTS: The mold overall is good. I just wish it sealed tighter. COMMENTS: I was very excited when I saw this vertical silicone mold available for reasonable price. This mold has so much potential but it is not performing the way it is intended. The silicone is smooth and soft, but too soft that it does not support the weight once the soap batter is filled to the top. It bowls out of shape, the top slice of soap is more of a round instead of real oval like the bottom. And another problem is the seams, the mold doesn't leak, but the seams don't come neatly together. I'm very very disappointed at this mold, total waste of money. "Can these be used for CP soap?" Staff Answer Yes, they certainly can be used for CP soap. "Do these molds stand up on their own without the sides bowing or do they need to be supported?" Staff Answer The larger shapes (Round, Oval and Rectangle) may need to be supported to prevent bowing when filling all at once. If you are filling them in layers they do not need any support. "How tall is this mold and how wide is it?" Staff Answer The Oval Regular Column Silicon Soap Mold interior cavity is approximately 2-3/8" wide, 3-7/8" long and 8" deep. "How many ounces does this hold?" Staff Answer This mold hold 38 oz. by weight.